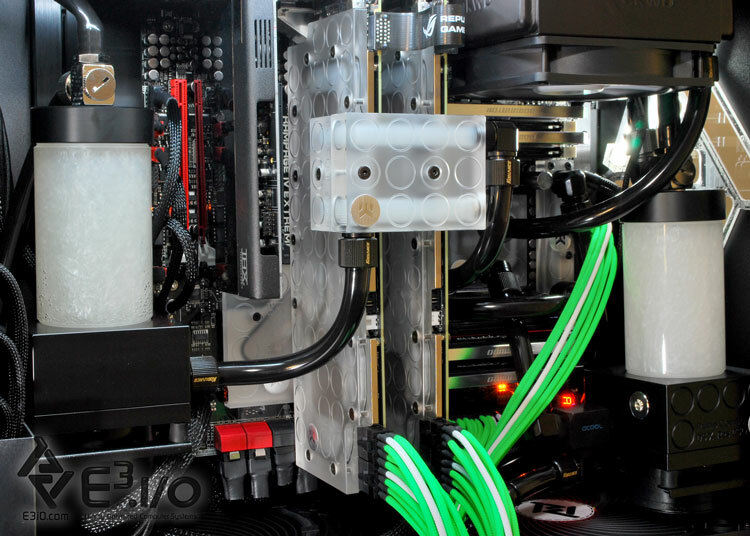 If you love to build insane systems, take some pictures and share with us your benchmarks. 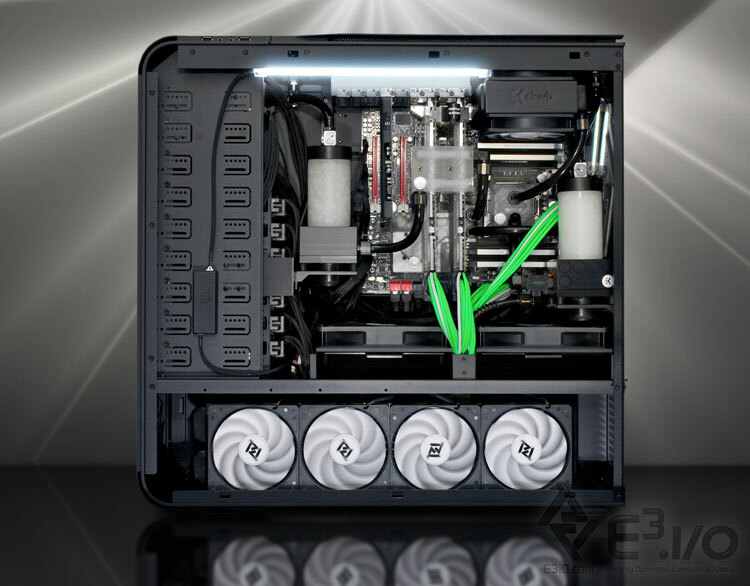 Let's see how far you can get your madness for Gaming PC's. 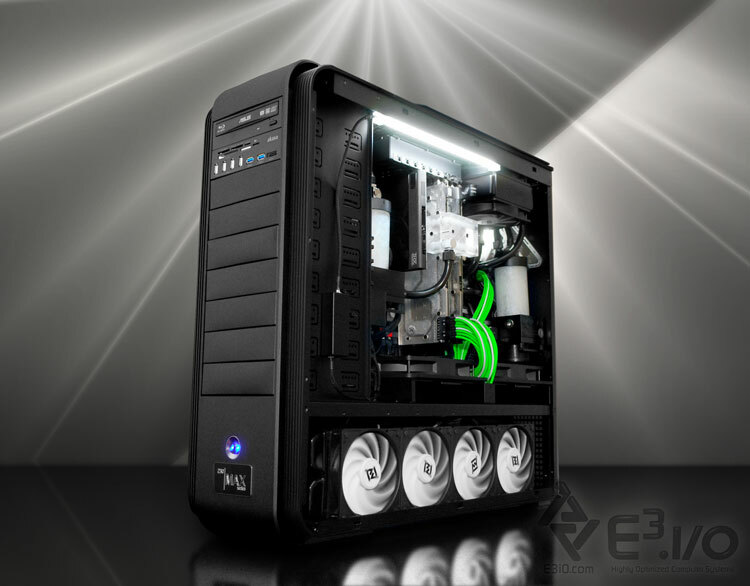 This beauty is the beast of Gaming PC. 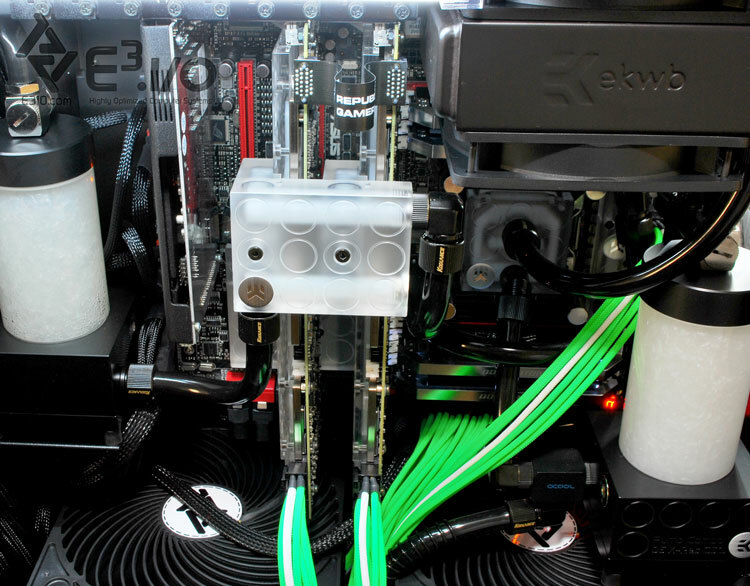 The new version of MAX 230 features a liquid cooling system in dual loop configuration, independent reservoirs with integrated pumps, high performance EK radiators and EK Water Blocks. 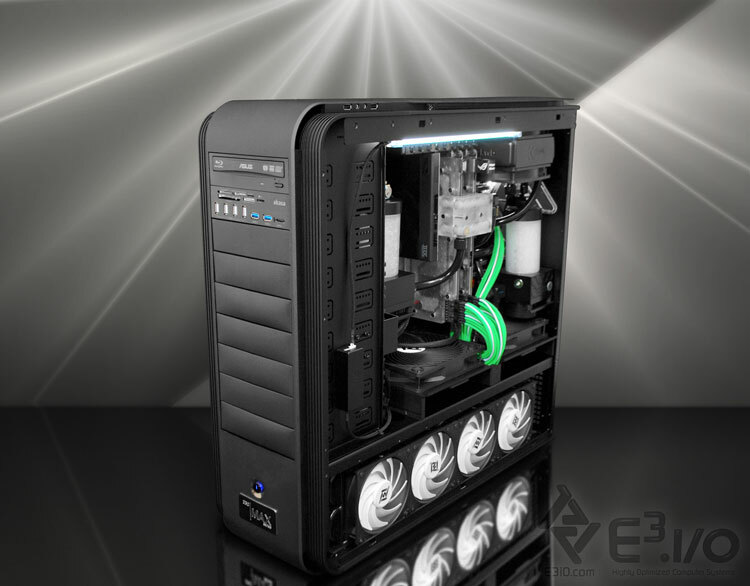 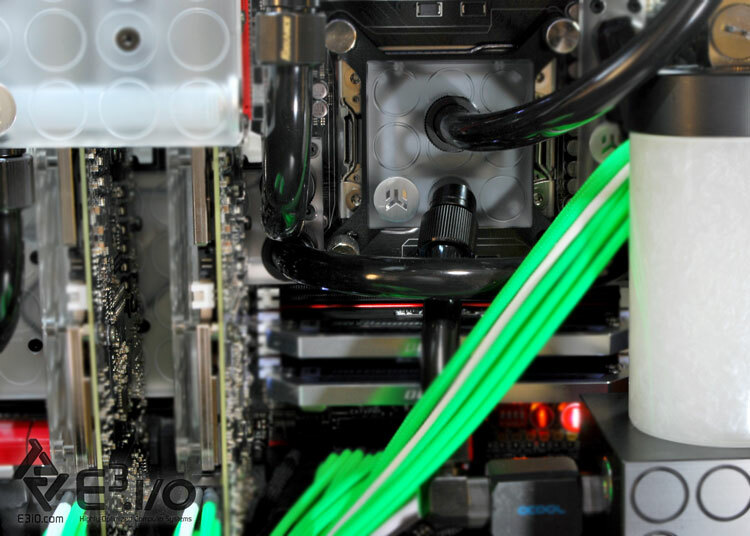 Set the cooling system as you like, such as radiator and water blocks, the fluid used for this Gaming PC is the Mayhems Aurora Supernova the same used in the version 1. 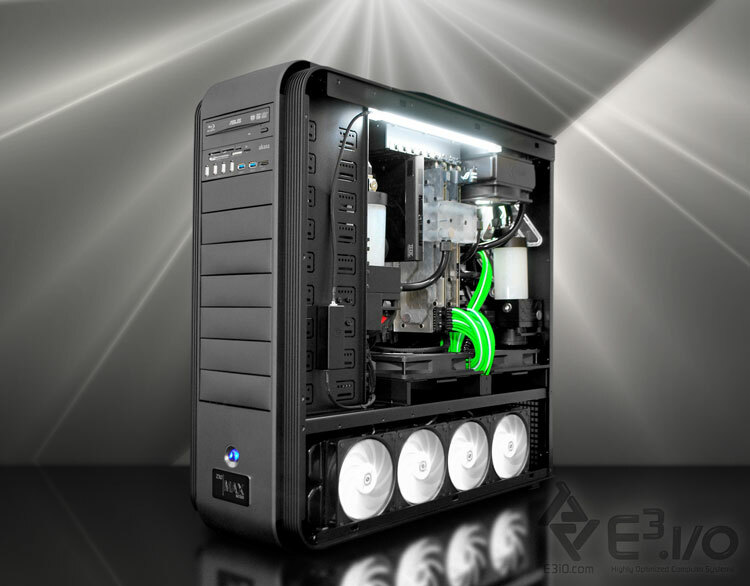 The configurations of this system are based on the X79 chipset. 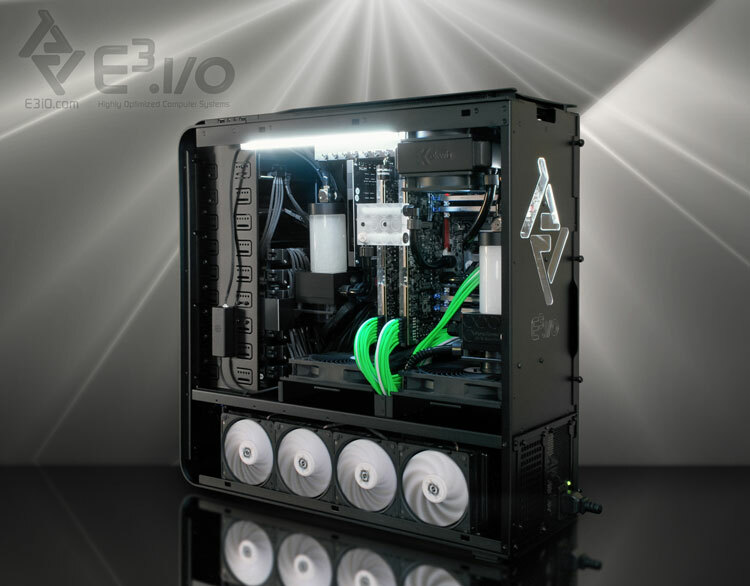 E3iO Scorpion Series Gaming PC.